GT-Xconnect combines the famous and sharp indoor Position Technology with elegant and wireless control of moving components, cars, robots and trains for gaming and play purposes. GT-Xconnect is a general purpose indoor positioning and drive control device. It allows any user to combine the positioning and the associate automatic- or manual control of his moving vehicles. The philosophy is, when you know here your vehicle is you also know what moves you want to make. The patent applied technology performs a closed loop control between positioning measurements and any associate control and movements of vehicles in order to adapt to the driving, - automation -, or gaming strategy for the vehicles. 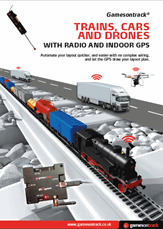 GT-Xconnect combines H0 railroad DCC over radio with positioning. DCC input can come from any DCC-controller or PC. GT-Xconnect combines Loconet device control with positioning and automatic operations. GT-Xconnect combines control and position of Lego NXT robots. GT-Xconnect combines control of Faller cars and layout devices with positioning and Automatic drive. GT-Xconnect with GT-Xcontrol combines DCC operation of Gauge G/1/0 trains with positioning and radio control of devices. GT-Xconnect is the heart of the new Faller Car 3.0 System. 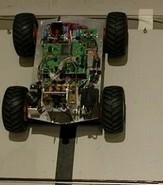 With Faller it provides the animation of the Faller Cars, makes individual control of speed, sound, light, and makes the distance control of all cars based on the positioning. Turn on your car and it shows up immediately on your screen, set it in motion in between your other running cars, and it will find its own place in the row based on the configuration of the car, size and braking details. GT-Xconnect also support distance control to any physical or virtual device on the layout, i.e. trafficlight controls, making a safe and slow braking possible. GT-Xconnect is CE marked and certified with the European standard for radio control of short range devices, according to the standard EN 300 220.. GT-Xconnect is expandable to take in protocols and communication standards in order to combine positioning and control - the real heart of any game play. 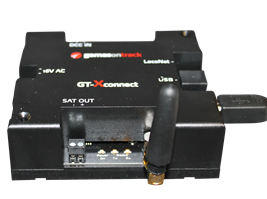 GT-Xconnect is available from GamesOnTrack or from our OEM-partners. It can easily be branded and configured to your local needs like the Faller Digital 3.0 Master.